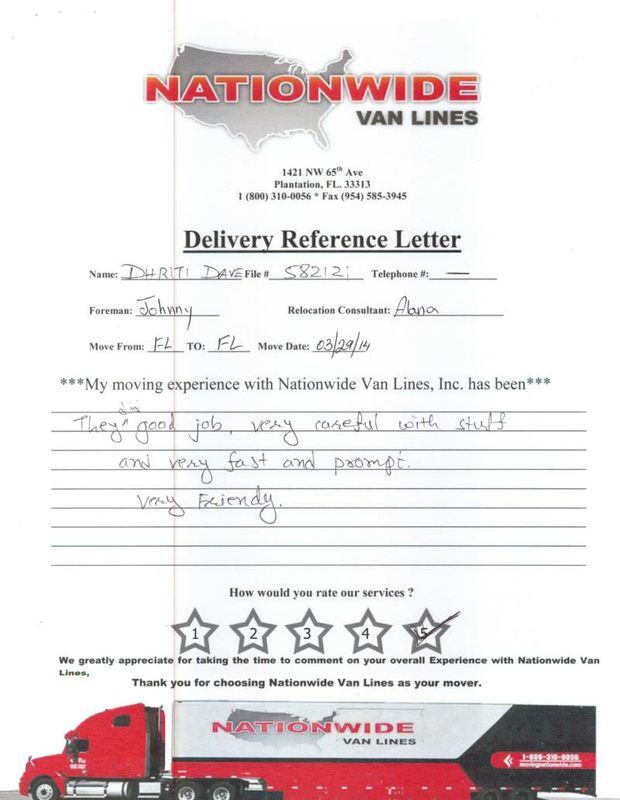 Finding a reliable moving company in West Palm Beach just got easier. 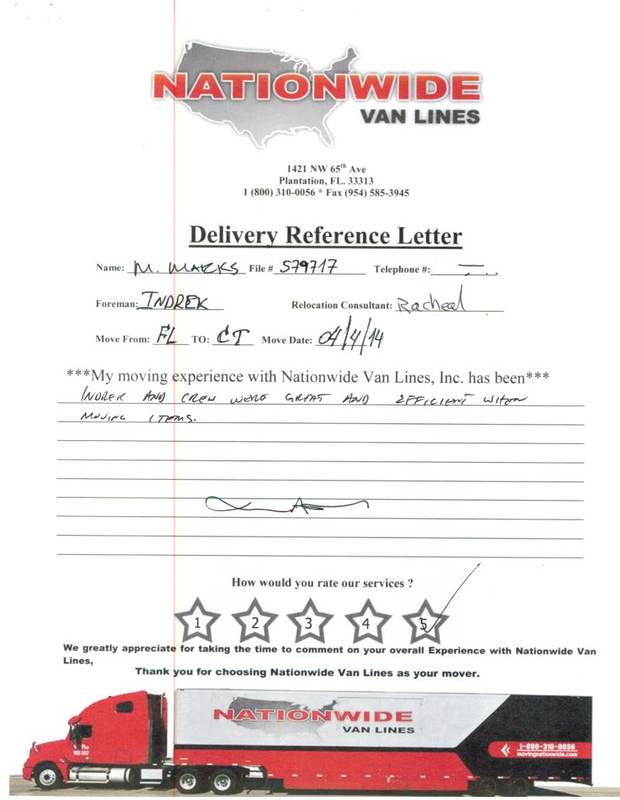 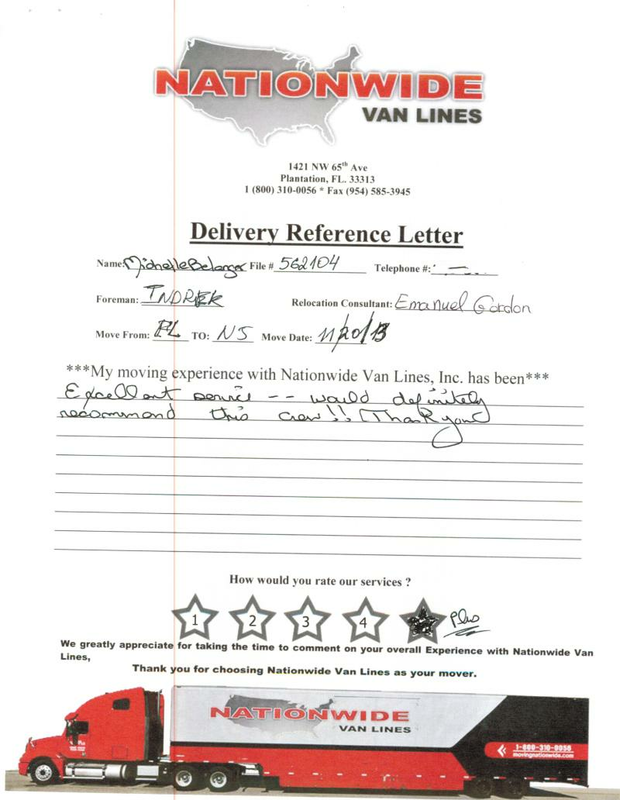 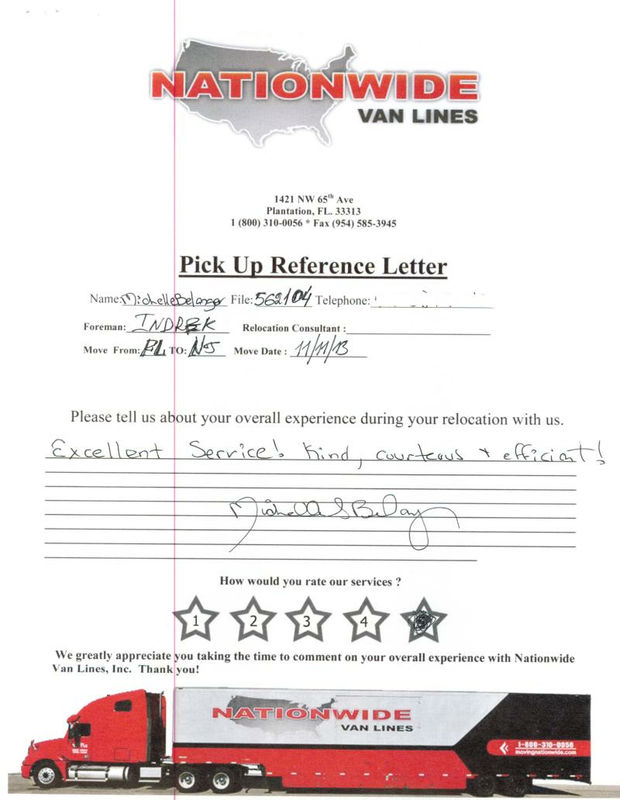 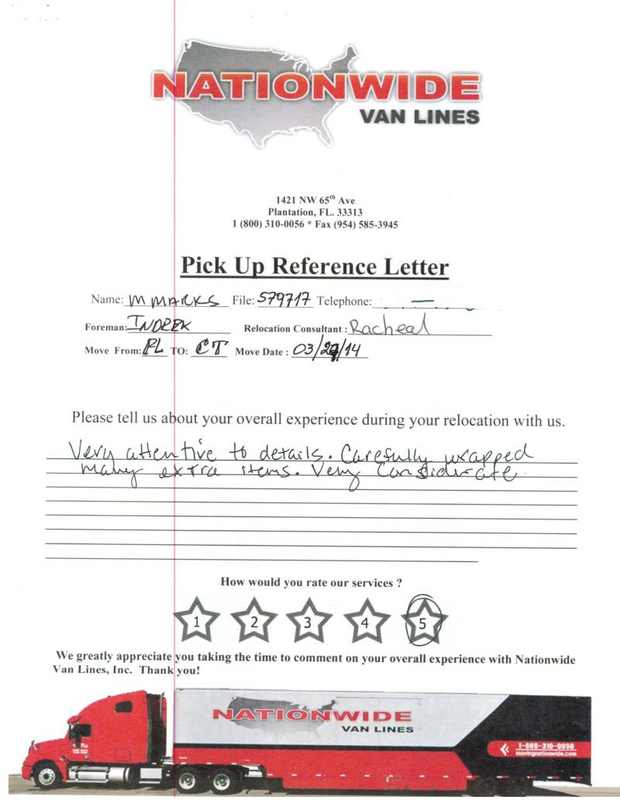 Nationwide Van Lines has the licensing and qualifications required to deliver the best Florida moving services along with multiple moving company reviews to prove it. Discover top Moving Companies Reviews from customers in West Palm Beach today. 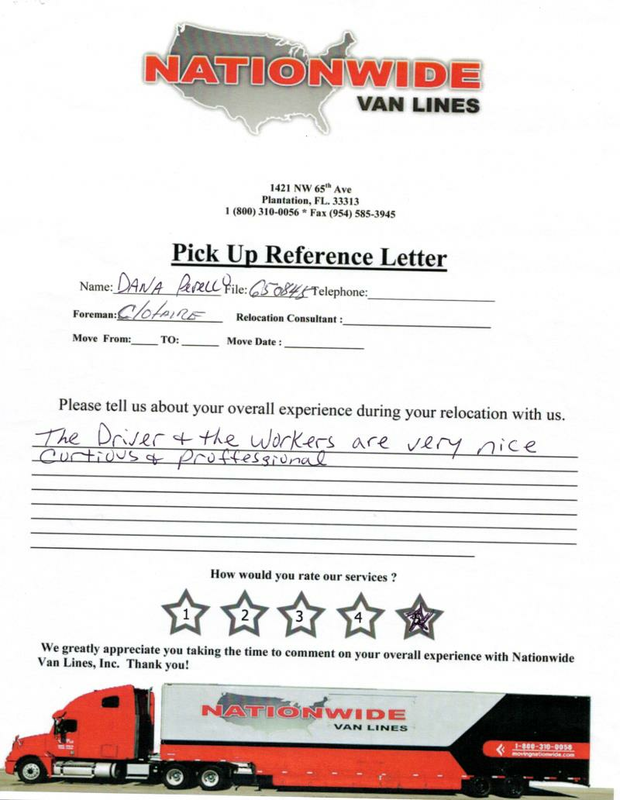 Access Multiple Mover Reviews for a dependable Florida Moving Company right here, right now. Pickup Review From: West Palm Beach, Fl.